Established in 1987, Manatec is into designing & manufacturing of Garage Equipment in India with 100% indigenous technology. Located in Puducherry, on the East coast of South India, the company manufactures Wheel Aligners, Wheel Balancers, Two Post Lifts, Gas analysers, Smoke Meters, Head lamp aligners etc.,. Established in the year 1987, as a manufacturer of industrial shaft alignment systems, Manatec diversified into garage equipment industry in 1991. The company, through its in-house R&D, indigenously designed and developed Optical wheel alignment systems in 1991, to become the first company to design a wheel aligner in the whole of Asia. Following this the company’s R&D dept continuously designed & developed Wheel balancers, Tyre changers, Exhaust gas analysers, Smoke meters, Head lamp aligners, 2 post lifts & Automatic tyre inflators. With this, Manatec is one of very few companies in the world to have design & technology of eight different garage equipments. Advanced versions of wheel aligners were also developed in these years simultaneously. Manatec’s extensive Wheel Aligner installations across many countries speak for its quality, specialization and lead role it plays in this industry. 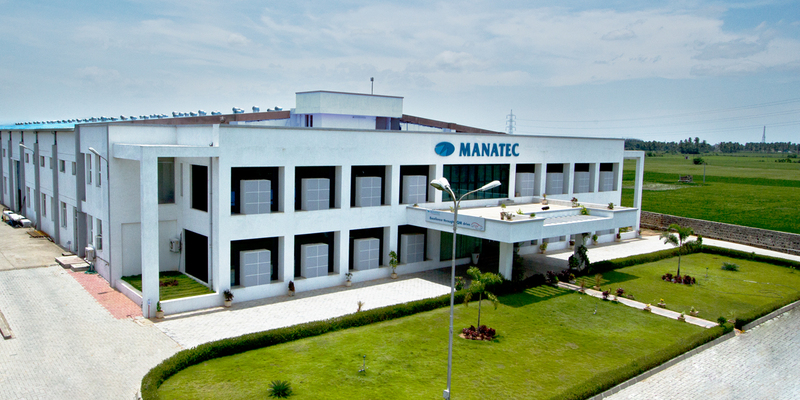 Manatec’s in-house R&D facility, recognized by the Govt. of India, is spread over 10,000 sq.ft with more than 35 electronics, mechanical & software and hardware engineers. All the products are designed by the R&D are indigenous with proprietary software, hardware and electronics design. The R&D strength of Manatec has enabled the company to export its products worldwide and provide technical support to its overseas buyers. Buoyed with increasing export orders and significant growth in domestic business, Manatec has established a new Greenfield mass manufacturing facility spread across an area of 130,000 Sq.ft, near Pondicherry. This facility ensures that the exports and domestic demands are met by producing garage equipments on a mass scale. Manatec has also established EASY DRIVE, an independent chain of Automotive quick fit centres since 2013, in an endeavour to provide quality quick fit services for cars, buses & trucks. Manatec exports to more than 60 countries across the globe through its efficient distributor network. This was achieved through a unique value proposition Manatec was able to offer its buyers- Designing garage equipments with world-class technology & quality and offering at prices competitive to European and Chinese products. Today Manatec has emerged as a truly global player in the automotive aftermarket and has evolved its vision and mission for the long term.